We need your input.The National Cyber Policy Office has developed a strawman Cyber Security Strategy. We invite Connect Smart partners and members of the public to give us feedback on the strawman strategy. 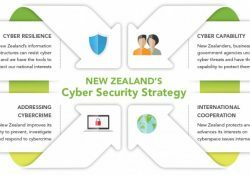 The strawman is the result of feedback on New Zealand’s cyber security settings from earlier public workshops and stakeholder engagement. You can see the outputs from the workshops here. To help collate the feedback, we have produced a feedback worksheet that can be found here. If you want to contribute, please download the worksheet, put down your views, and email it to connectsmart@dpmc.govt.nz. KPMG, 10 Customhouse Quay, Wellington. 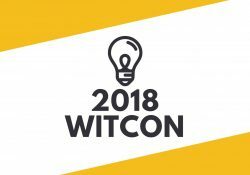 Refresh of New Zealand’s Cyber Security Strategy and Action Plan 2018. National Cyber Policy Office (NCPO). A further chance to contribute to the Cyber Security Strategy refresh and Discussion Sessions for the Cyber Security Strategy Refresh. The diagram featured is the 2015 National Cyber Security Strategy. The NCPO will also be holding discussion sessions during the week of 27 August in Auckland, Wellington and Christchurch. 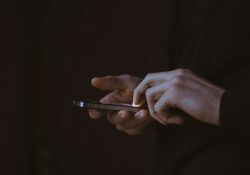 Digital Trust in 2018 – what do they know about you? Have you ever wondered about how companies such as Google manage your information – and how you can get more control? And how secure is your bank information? And that’s just you as an individual – what about the organisations that you work for – how do you ensure that your customers feel they are safe when dealing with you? We’ve pulled together an evening event where you can hear from the experts about these things. Our main keynote speaker is Ross Young from Google will talk about what they store but also about how to know more about that information. I can promise you that this evening will be enlightening and you’ll come away with a better sense of what’s happening when you interact online. More about Ross : Born and bred in Wellington, Ross manages public policy for Google in New Zealand. After completing degrees in psychology and law, he worked in the public and private sectors in New Zealand and overseas – including the BBC, Vodafone Australia, Minority Rights Group International and the Commerce Commission. He lives in Wellington with his husband and exuberant 7 year old daughter. Serena Chen is a product designer building frameworks at BNZ Digital. She is an ex-physicist/mathematician, teen magazine founder, and hacker at heart. She believes deeply in using technology to build a kinder, fairer, and better world. Creeture (aka Ben Creet) is a policy analyst, technology geek and cybersecurity professional who has a dayjob with InternetNZ doing Internet policy stuff. Ben is a member of the New Zealand Internet Task Force, the Inspector-General of Intelligence and Security’s Reference Group, InternetNZ, a part time Master of Strategic Studies student at Victoria University of Wellington and an national expert on vulnerability disclosure policy. A tabletop & xbox gamer, a football fan and a NatSec nerd, Ben is mostly importantly parent/pack-leader to #LilCreeture, #LittlestCreeture and #CreeturePup. Please note: The event opens at 5.00pm with the formal parts of the evening getting underway at 5.30pm. Event on TUANZ and Eventbrite. Marcus Bristol (a Senior Engineer at Pushpay) will peek under the hood and give us all an idea of how git works under the covers. This understanding will help us be better equipped to recover when things go wrong. The Life and Times of Supervolcanoes | Rotorua. 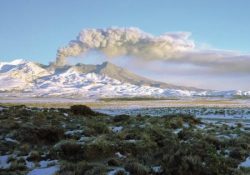 The Life and Times of Supervolcanoes | Tauranga. 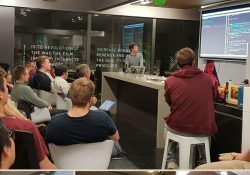 Auckland based group for anyone interested in Go programming language. 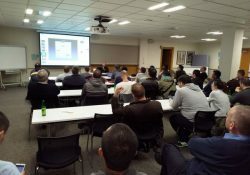 We will try to organise regular meetups with talks by members and guests. Depending on interest we can also consider organising Go hacking sessions. 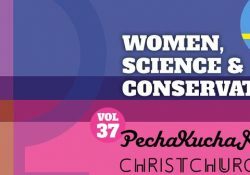 Another amazing lineup this month for us eager Gophers [and Rustaceans alike]. Thanks to Movio again for the venue, drinks and pizza. “Both Go and Rust are categorised as a systems programming languages, but both approach it in different paradigms. I’m a big fan of Go’s simplicity and pragmatism, but have times found some of the language features to be lacking. Recently I’ve been playing around with Rust and have discovered many interesting aspects of the language. In this talk I’d like to share what I find awesome about Rust from the perspective of someone who has worked with Go and some functional languages. Jacky is a prolific full stack engineer on Movio’s Numero team. Jacky is super-cool and squeaky-clean. Funnily enough, the only time I’ve heard Jacky swear was 15 hours deep into a hackathon, fighting with the Rust compiler for the first time. Naturally, he’d tamed it before the day was done. Taco currently works at the University of Auckland within the bio-engineering institute, where he does modelling on lungs. Previously worked for TixTrack, which is a software development company for ticketing software using Go. He’s also known for github.com/tdewolff/minify, which is a high-performance minifier in Go.